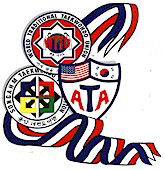 Adults participate in Tae Kwon Do for many reasons. It is a great tool for physical fitness, and it also provides a basic knowledge of self-defense! Our program empowers students with not only the physical ability to ensure safety, but mental benefits as well. Our classes are perfect for all adults, no matter the fitness level or age!